Last week I presented a session on Pro-Podcasting Strategy at ProBlogger Training Event on the Gold Coast. 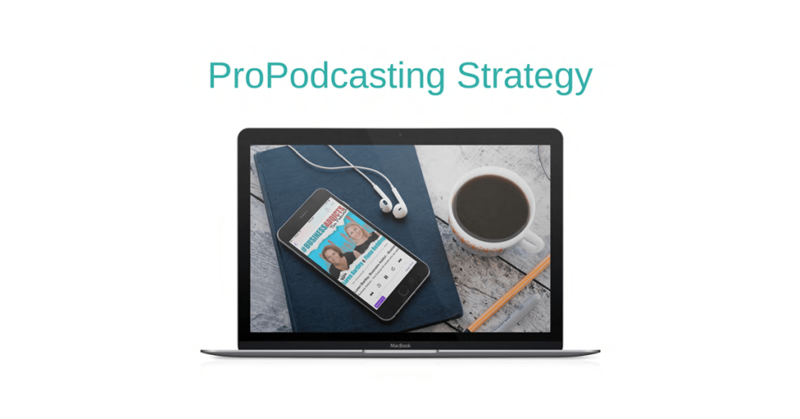 I was talking about Pro-Podcasting Strategies from the perspective of someone who was sitting in the audience at ProBlogger 12 months earlier, listening to a presentation on Podcasting by Chris Ducker and Pat Flynn. Before going to ProBlogger last year I had been thinking about starting a podcast for a couple of years, but never really actioned that thought. I nearly didn’t attend the Podcasting session as I am someone who is very easily influenced and I knew that it would inspire me to want to start a podcast. I didn’t have the time for that! I actually remember walking into the room repeating to myself over and over in my head, “you are not starting a podcast, you are not starting a podcast, you are NOT starting a podcast”. After being educated, entertained and inspired for an hour by the bromance of Pat and Chris as they explained how to launch a successful podcast – I WAS SOLD! Later that night I saddled up next to Chris Ducker at the bar (as you do) and told him that I was going to launch a podcast, make it into New and Noteworthy in iTunes, number one in our category and then when we get kicked out of New and Noteworthy, jump straight into What’s Hot, just as they had described in their presentation. I then went on to explain my plan to come back to ProBlogger the following year and present our success story as a case study. I then asked him if he would be a guest on the show and he said yes! And 12 months later, there I was. Standing in front of an audience of a couple of hundred wanna be podcasters, filling them in on what I had done over the past year to make my dream a reality. I was sharing my experiences so that they too would be able to take inspired action and achieve similar results for themselves. My story starts where any good success story should start and that is with planning. I went away after ProBlogger and thought about what I wanted to do a podcast on. I am a Social Media Strategist. My business is Impactiv8 and I teach and manage social media for businesses. However, I didn’t want to start a Social Media podcast as I knew that my ideal customers would not necessarily be looking for a social media podcast, but they were probably searching for business advice. I also knew that it was going to be a massive task and that if I was going to do this well, then I probably needed some help. So I approached Fiona Redding from The Happiness Hunter a couple of weeks after I got back from ProBlogger, as I thought that we would compliment each other really well. We then went backwards and forwards on the concept for a while and got pretty much nowhere. Then the two of us decided to get together for a full day of planning on the 30th December 2014, where we put butchers paper all over the walls and brainstormed the concept. In particular, we developed an ideal listener profile. Our audience would be people who are addicted to business, much like Fiona and myself. We then started looking into the key messages that we wanted to deliver. We wanted to help feed the business addiction with loads of great business advice from content matter experts, but we also wanted to help #BusinessAddicts better manage their addiction, by sharing helpful advice as to what else they should be doing so that they can live a more rounded life. We also decided on the format for the show, which for us is an interview style show, with two co-hosts and an amazing lineup of guests that are subject matter experts on topics that would be of value to #BusinessAddicts. As part of this process we also developed a hit-list of guests. We also thought it was important that we share our stories and the journeys we are on as proud #BusinessAddicts throughout each episode, which is proving great, as our listeners feel like they can really relate to us. Once we had all that sorted we came up with the name. We did have a slight name change after this day, but I really wanted to stress the importance of naming your show early as it holds up so many other things if you don’t. To increase your chances of being discovered when people search for podcasts, you should also consider naming your podcast using keywords. 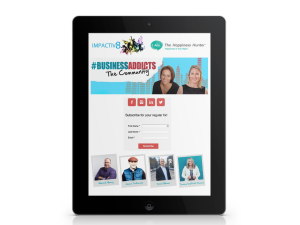 I could’ve named the podcast Impactiv8 after my business, but it wouldn’t have been anywhere near as successful as the name #BusinessAddicts as #BusinessAddicts is something that people can identify with and it also helps us be discovered by people who are searching for business podcasts in iTunes and Stitcher. The next thing we did was to develop the branding for the podcast. As part of the initial naming process we made sure that all our preferred URL’s and social media handles were available. We also checked out the hashtags that we intended to use to make sure that there wasn’t already someone else dominating them. We then started focusing on the visual aspect of the brand. We developed a logo, taking care to ensure that it would stand out in iTunes amongst all the other logos in our category. We also looked at how we would follow that branding through to anything else we did, like our live events, episode artwork, our social media profiles and other fun ways that we could get our branding seen by many. We now have a really strong brand and by incorporating our heads on everything, we have been able to increase our profiles significantly also. The next step is to start learning. My recommendation here is to learn from those that have gone before you. I watched Pat Flynn’s and Cliff Ravenscraft’s free training videos. 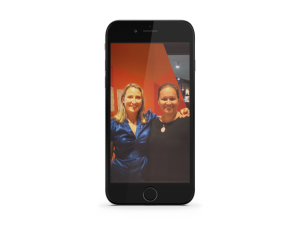 I actually ended up blending those two courses together to come up with the equipment, systems and processes we use for #BusinessAddicts The Podcast. One thing I have noticed since meeting other podcasters is that everyone does it slightly different and you just have to work out what works best for you. 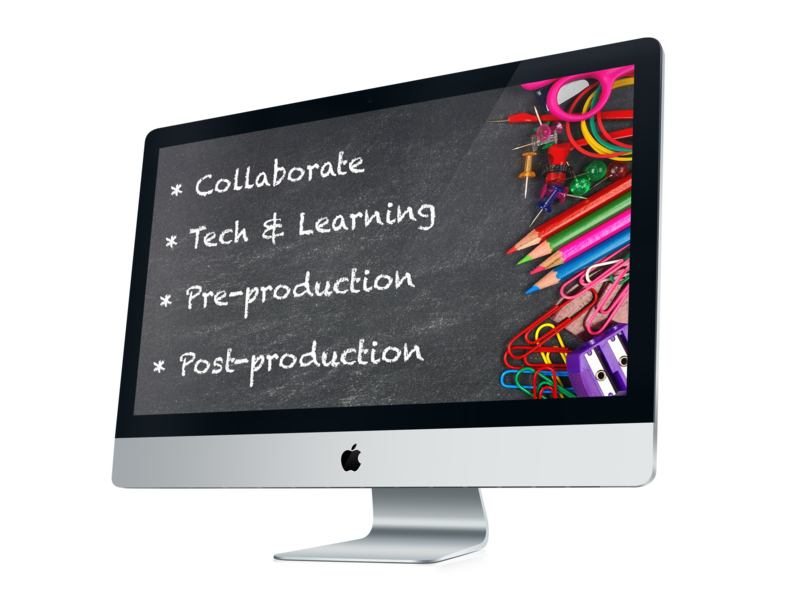 Once you have done the learning, it’s time to get your equipment setup. Your audio quality is super important. People will listen to rubbish content in hope that it gets better, but they won’t put up with poor audio quality. My number one advice here is to get the best possible equipment your budget can afford at the moment and be mindful that you might need to upgrade over time. Be mindful also of the acoustics where you are recording. We then went about setting up our online presence. We set up a website specifically for the podcast. This is where we house all of our show notes and it also has the RSS feed that we submit to the podcast directories. We have links on the website to our podcast on iTunes and Stitcher. We also have a form for people to complete if they wish to apply to be guests on the show or to nominate someone else, as well as instructions on how to leave us a rating and review on iTunes, which I will explain the importance of shortly. We also started building our email subscribers in advance of launching as a way to generate buzz and to ensure we had a community to launch into. We also set up a presence on Facebook, with both a Page and a Group. Our private Facrbook Group is open to all of our listeners to join and it is where we are fostering a sense of community between our listeners. 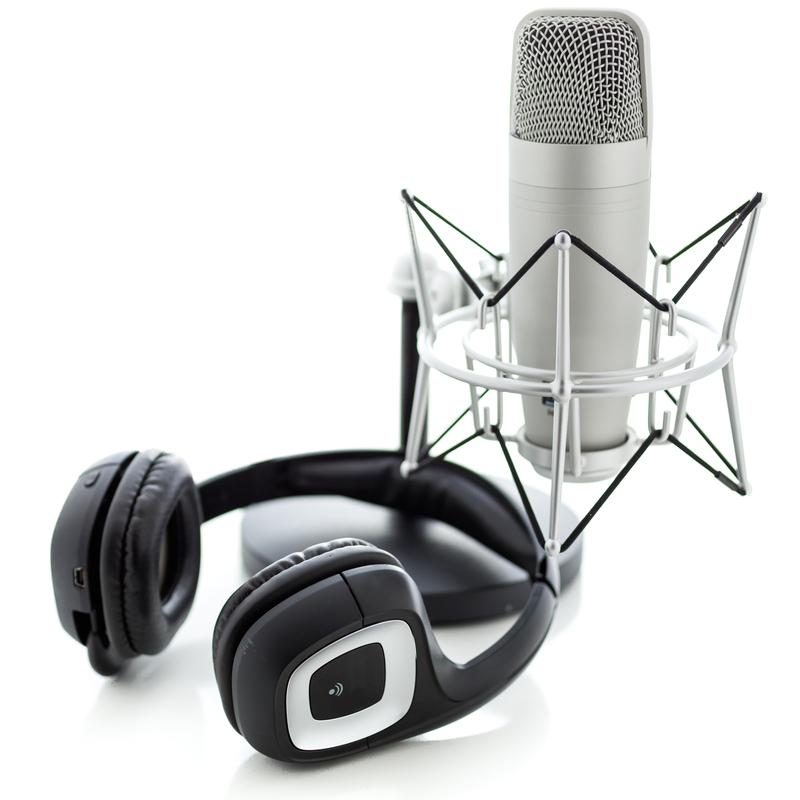 It allows us to engage with our listeners directly and add an extra dimension to the podcast. We use this group to further discuss the strategies, tips and tools shared in the podcast. Several of our guests are also members of the group, which adds even more value to our listeners. We are also on Twitter, Instagram, LinkedIn and Periscope. Very early on in the process, we started approaching those guests that we had identified as being on our hit-list as part of our initial planning workshop. This was a good litmus test to see if our concept was any good, as we figured that if we couldn’t get our guests to buy into the concept, then there was no way that our listeners would. We started with the people we already knew from our networks and extended networks and were amazed that almost all of them said yes! 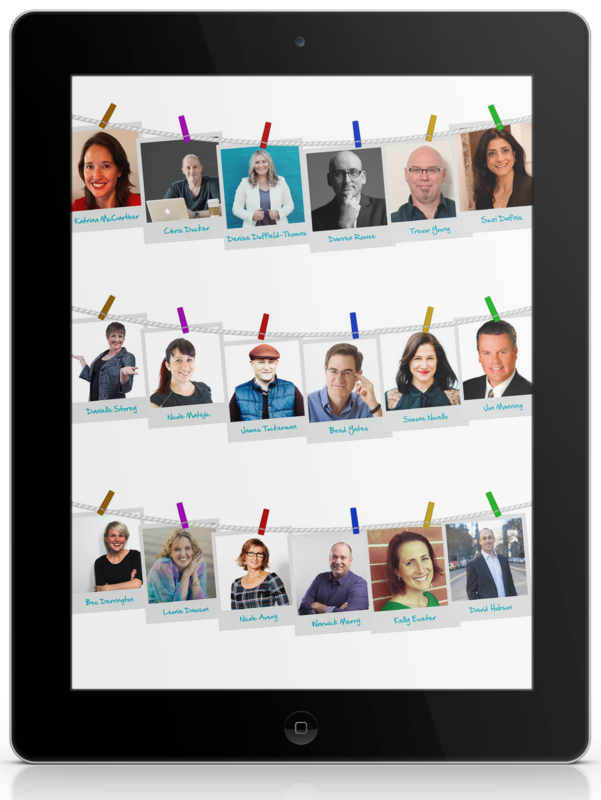 Gaining quality guests becomes a snowball effect. You only need to secure a few of them and then you can tell the next high profile person that you approach that you have already interviewed Chris Ducker, James Tuckerman, Denise Duffield-Thomas and Darren Rowse and then suddenly they are desperate to get on board. We are now being approached by more quality speakers than we can immediately accommodate and have our schedule mapped out a couple of months in advance. Once you have secured your guests, you need to start recording as soon as possible and well in advance of when you wish to go live. We launched our podcast on 16 March, but we recorded our first episode on 20th January. 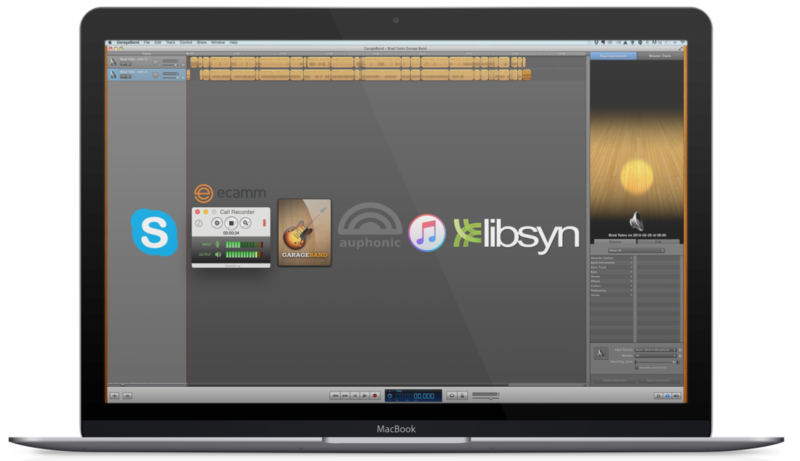 We record via Skype using eCamm Call Recorder. We then edit the podcast in Garage Band (there are better software options for this). After that we run the mp3 file through Auphonic to level out the sound, tag it in our desktop version of iTunes and then upload it to Libsyn. We then embed the Libsyn file within the show notes for each episode in the podcast category on our website so that it is picked up automatically in the various directories where we have submitted our podcast feed. We still haven’t launched yet, but once you have a few episodes recorded it’s a good time to start generating that buzz in advance of your launch date and grow your community. As #BusinessAddicts was it’s own entity, we had to build a completely new audience for this podcast. 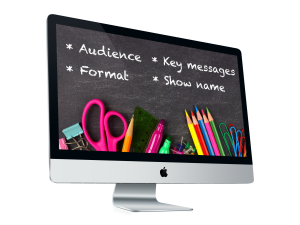 Our starting point was the audiences we had already developed through our own businesses. We mostly used social media to generate buzz. 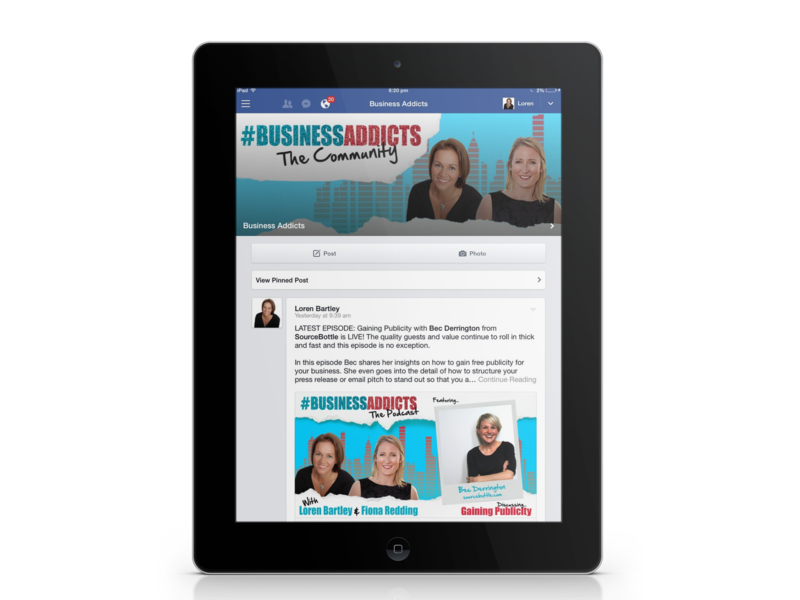 We really focused on bringing together like-minded people to create #BusinessAddicts The Community via our Facebook Group. From there we drove people to our email list, getting them to sign up to be the first to hear when it launched. We now have a push-button audience that we can notify every Sunday morning when we release a new episode. We then went back to those guests that jumped in to support us in the early days and got them to announce the podcast to their audiences also. These partnerships have proven to be completely priceless! Once you are ready, it’s then time to launch! We launched #BusinessAddicts The Podcast with 5 episodes so that there was content available for our audience to download and consume immediately. At the time of launch we had eight episodes that were recorded and in various stages of editing so that we could take our foot off the pedal for a moment in terms of production and focus on promotion of the podcast instead during those first few weeks after launch. To launch we simply submitted to both iTunes and Stitcher and the process took a couple of days for us to be approved in each and then we were LIVE! From then on, it’s all about the rankings, as it’s the rankings that will enable your podcast to be discovered by new listeners. Subscribe, download, listen, rate & review need to be your new catch phrase. You want people to subscribe so that you episodes are automatically pushed to them each time you publish a new episode. You want them to download those episodes, and in particular your back catalogue, if they join the party a little while after it has started. This will help increase your downloads, which is a signal to the podcast directories that your podcast is popular. But that’s not enough. You actually need them to listen! 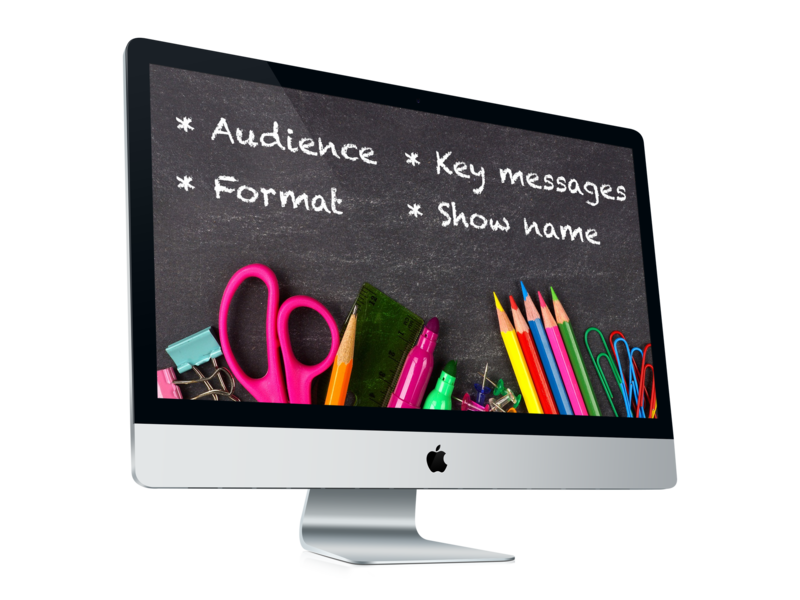 It’s through this that your listeners will receive the real value and this is how you start to develop a highly engaged audience. The next step is BY FAR the most important step and that is that you want your listeners to leave a 5 star rating and review. Ratings and Reviews are the number one thing that are going to help you propel your podcast up the charts. As a result of implementing this Pro-Podcasting Strategy we were able to jump straight into New and Noteworthy on iTunes within 24hrs of launching our podcast. So as a result of all of this, we managed to stay in New and Noteworthy for fifteen weeks and after that we leapfrogged straight into the What’s Hot ranking and we are still there a month on. So now, it’s all about building upon the early successes. I will admit that it comes a lot harder once you drop out of New and Noteworthy. We are still in What’s Hot, but we have dropped in the carts. We are still consistently ranking well within the top 100 in our category, which I think is fairly impressive considering the number of quality podcasts that we are up against. Our community has been amazing in spreading the word for us. 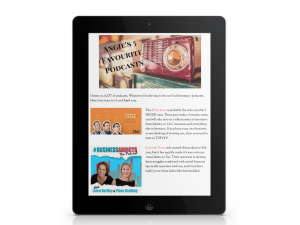 For example, we have appeared in several lists for top podcasts, like this one by Angela from Dotti Media. As well as engaging with our online communities on a daily basis, we also started running live events to bring our community together #IRL. We ran our first LIVE event within three months of launching the podcast and had 65 fellow #BusinessAddicts actually pay to come and hang out with us for the evening. We have since followed it up with another live event that was equally as successful, proving to us that it wasn’t just a fluke. I highly recommend that if you are going to develop a community around your podcast, which you should, then you need to take it offline as soon as possible. Our listeners are our biggest asset. They are the advocates for our podcast and are continuing to spread the word about our show on a daily basis, amplifying our reach far beyond what Fiona and I would be able to achieve on our own. So now into the results we have been able to achieve off the back of launching the podcast. Firstly, whilst it is nothing Fiona and I can retire on, we have been able to directly monetise the podcasts off the back of the LIVE events. This was an important test for us to do to see if our audience were prepared to put their hand in their pocket for us and clearly they were. The quantity and quality of professional speaking events that Fiona and I have been asked to speak at since launching the podcast is through the roof too. 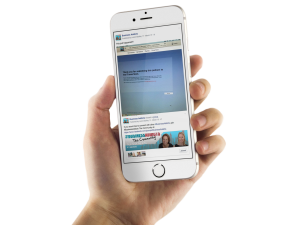 I have increased my social media consultancy services as a result, with more new clients, as well as attracting back past clients as they started listening to the podcast and I was brought back to front-of-mind for them. I have online training programs and the sales of them have been steadily increasing since starting the podcast also. 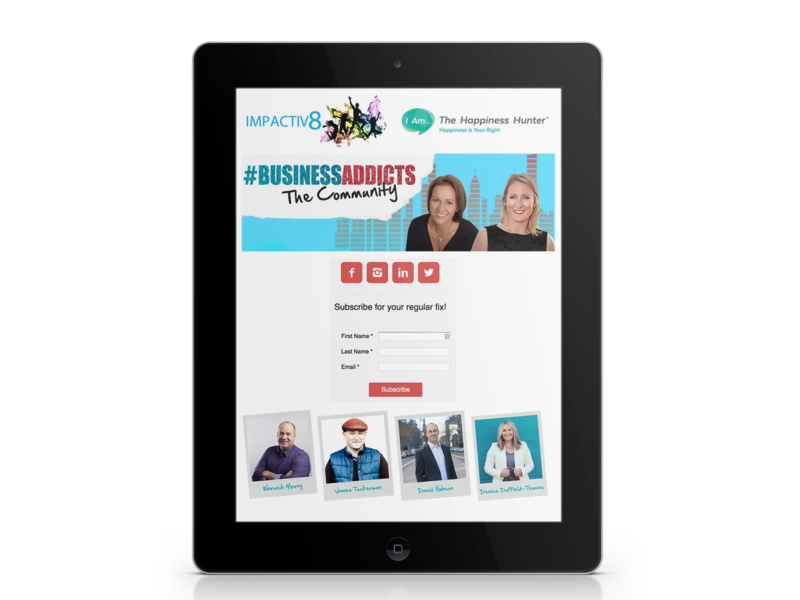 It has also been an excellent list building exercise, for both #BusinessAddicts, as well as the knock on effect it has had for both Impactiv8 and The Happiness Hunter. The platform we have created is exceptional. We are now being approached by people to come on the show as guests, have us on the show with them or form some sort of partnership with that never would’ve occurred without us building this platform. 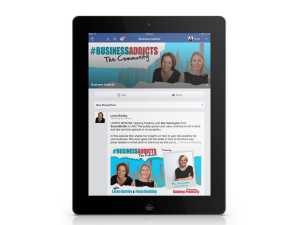 It has opened up a host of additional opportunities for us to and I invite you to watch this space as #BusinessAddicts is set to be rolling out a whole host of additional programs and products in the very near future. So with all that said I wanted to leave you with some parting words of wisdom for those people that are looking to start a podcast and they are “Get Help”! Creating and maintaining a successful podcast is a lot of work. It was too much for me to do on my own. Collaborate where possible. It will amplify your results. Get help with the technical aspects. I am a techie person and I found the learning curve a steep one. If you are not techie, you might have to get someone to help you out along the way. I did everything in the beginning, but by the time I got to episode 20 I realised that I could no longer sustain the pace, so I brought on a new team member to help me with the post-production in terms of editing, uploading, social sharing and so on. I am now also getting help with the pre-production in terms of identifying and approach guests, setting up interviews and even doing some of the research for me. I am happy to invest in that because I am seeing the benefits podcasting is having for my business and I truly hope that you will be able to achieve similar results by implementing a Pro-Podcasting Strategy for your business. So think back to the me of 12 months ago sitting in the audience at the end of a presentation on podcasting. Will you be launching a podcast within the next 12 months so that you might be able achieve similar or better results for your business? Let me know in the comments below so that I can follow your progress, keep you accountable and celebrate your success with you once it has launched! If you need more convincing, then check out 10 Reasons Why You Should Start A Podcast For Your Business or What #BusinessAddicts Taught Me About The Biggest Key To Social Media Success. That’s so cool. Just remember with the name, that it’s all about the audience and what they are likely to search for and relate to. Nail the name and you are onto a winner! Amazing that you have shared this with your audience. Fantastic… I’m off to subscribe now..
That is fantastic news Christine. I really look forward to seeing how you are going and making sure that you take action!